LOS ANGELES, Nov. 16, 2018 /Christian Newswire/ -- Christian singer-songwriter Jared Reynolds, based in Moreno Valley, California desires to share the love of God through his music and his first single "You Are Faithful" is proof of this. Collaborators Erick Walls (guitar player) and Andrew Gouche (bass player) highlighted Jared's soulful voice making this piece of work truly extraordinary. His authenticity as a worshipper and his heartfelt praise easily ushers in the anointing of God. "You Are Faithful" will resonate with those of faith and those who are struggling to have faith. 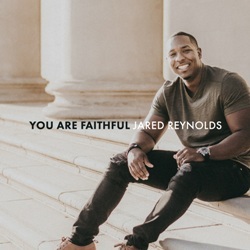 A reassurance message can be found within Jared's voice and the lyrics of "You Are Faithful." When asked about the song, Jared says, "When Tommy Niblack (songwriter) first sent me this song it was initially written as a praise song. I felt the anointing in every word, it was like a prayer and knew it had to be transformed into a worship song." When asked why he sings, Jared said, "I want the world to be touched by my music and Jesus seen through every song. I pray the name of Jesus be glorified, as churches everywhere listen, and praise God through my music." Alongside Jared's vocal gifts, he is also a songwriter and musician and has touched the lives of over 2.1 million viewers on his YouTube channel. Jared is now the Music Director at The Rock Church and World Outreach Center in San Bernardino, CA. Jared expects to release an album within the first half of 2019 and prays to touch millions of more lives with these songs the Lord has given him. Stream or download You Are Faithful today.